Clergy are ordained ('consecrated' or set apart for the administration of various religious duties) and so take care of the religious ceremonies and also teach or otherwise help in spreading religion's doctrine and practices. They deal with life-cycle events (rites of passage) such as baptisms, confirmations, weddings and funerals. Clergy work both inside and outside the actual church, and can be found working in hospitals, nursing homes, missions, schools, etc. In the Church of England, parish priests are called either 'vicar' or 'rector', the distinction being largely historical although the roles are essentially the same. 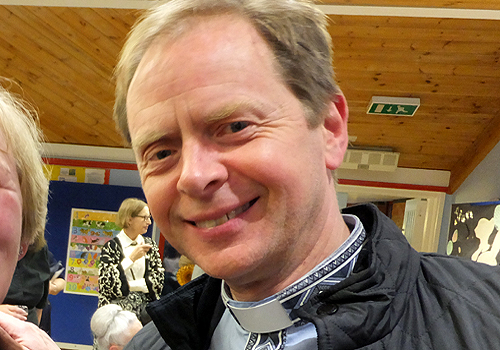 Here at St James's the Revd Derek Winterburn became our tenth vicar on 8th November 2016. Find out about Derek on the page Our vicar. From time to time we also have an ordinand who is someone preparing for, or undergoing the process of, ordination. It takes three years of training to be ready. At the ordination service the ordinand is set apart through prayer and the laying on of hands by the Bishop of London to be a deacon within the Church. The word deacon comes from the Greek diakonos meaning servant, used to refer to the lowest order in the Christian ministry, below the priest and bishop. The term is for both men and women who may undertake the tasks assigned to priests except presiding at Holy Communion and hearing confessions. Deacons go out to give, but most importantly, to receive: specifically to receive training and formation as newly ordained ministers. 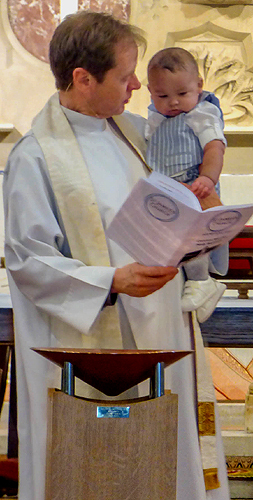 A deacon wears the stole over the left shoulder, tied at the waist on the right side, so that the stole hangs diagonally across the chest. Once ordained, that person can become a curate (from the Latin curatus meaning 'care for'), a person who is invested with the care of souls in a parish. Although a curate can actually be either a priest or a deacon, the term is most often applied to an assistant ordained minister. 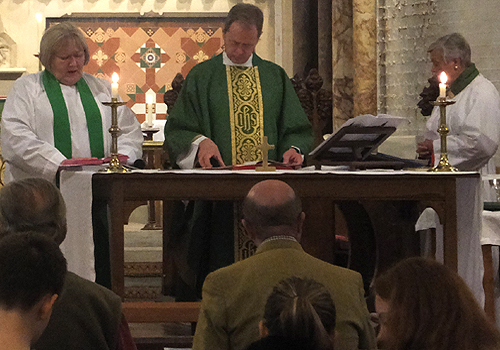 The duties or office of a curate are sometimes called a curacy and include a specific role within the eucharist. The stole is not worn diagonally across the chest but hangs straight down (shown left). 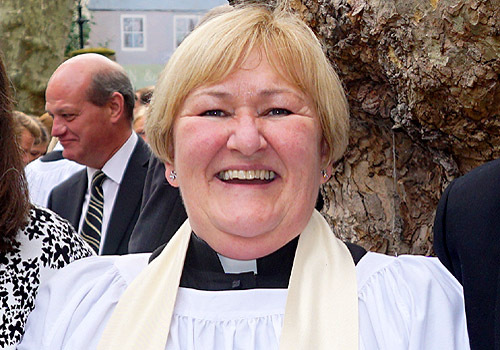 On Sunday July 4th, 2015 Revd Jacky Cammidge became curate at St James's, having been ordained priest by the Bishop of London at St Paul’s Cathedral the day before. Find out about Jacky on the page Our curate.